The Democratic candidate for agriculture commissioner sent the message to NRA lobbyist Marion Hammer. 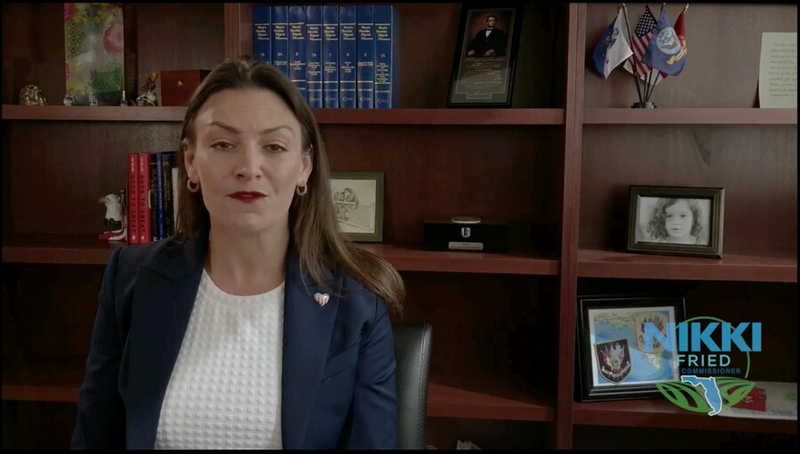 Nikki Fried, the Democratic candidate for the state's Commissioner of Agriculture and Consumer Services, sent a clear message to the National Rifle Association Monday morning: "I won't be beholden to you." The message comes in the form of a signed letter to NRA lobbyist Marion Hammer. Fried says the letter was prompted by a Tampa Bay Times report that unveiled emails exchanged between Hammer and officials within the agriculture commissioner's office. According to a Times review of hundreds of Hammer's emails with the department, Hammer send messages to senior officials within the department with complaints and demands at all hours of the day — including weekends and holidays. The messages use colorful and forceful language, and suggest Hammer is rarely told "no." Hammer told the Times that the department appreciates her brutal honesty, and respond quickly to her because of it. The New Yorker did a profile of Hammer in March, detailing how she pushed contentious gun laws like "stand your ground" through the Legislature. In 2014, Hammer had a hand in deciding which counties would participate in a partnership with county tax collectors to accept concealed weapons applications. The next year, Hammer saw posters forbidding cameras, cell phones and "carrying of unlawful weapons." She demanded the last item be removed, and she was sent a new version of the poster two weeks later. Five years ago, the department was accused of being run by the NRA after an ex-employee alleged she was told she "worked for the NRA." The conversation came about after she tried to draw attention to problems with the gun licensing program. The director who gave the ex-employee such a direction was Grea Bevis, who has run the concealed weapon's program for the last eight years and infamously mishandled background checks on applications last year. The department settled with the employee for $30,000. Fried, a gun owner herself, emphasizes that her stance is nonpartisan. "For the past eight years the NRA has run Florida's Department of Agriculture," she writes. "That ends on Nov. 6." Accompanying the letter is a video of Fried, talking to the camera. Your control over concealed weapons permits is finished. 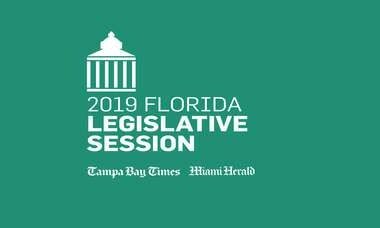 In the video, Fried points out that her opponent, Fort Myers Rep. Matt Caldwell, is endorsed and given an "A-plus" rating by the NRA. 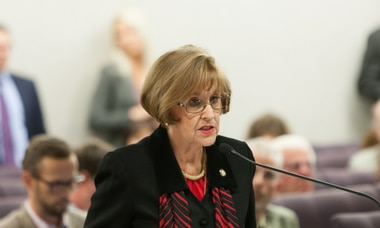 She also references Caldwell's vote against the Marjory Stoneman Douglas High School Public Safety Act. "Tallahassee politicians have forgotten who they work for," she says. "This year, that's going to change."